18-year-old Reshma was attacked by her brother-in-law and his friends. Now she's fighting back. Looking at the camera, Reshma Bano Quereshi exfoliates her lips with a toothbrush. She chooses a liner and, when that’s been applied, pulls out a peach-coloured MAC lipstick. ‘Looks perfect, right?’ she says, as she smiles. But behind her beam, her expression is sad. 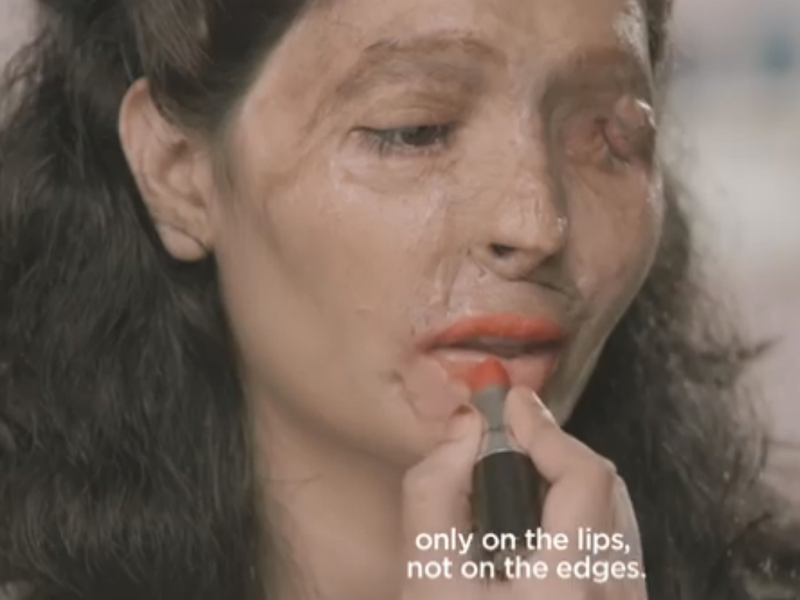 But while Reshma is the star of the three-vid-long YouTube series, the film was created by 22-year-old Ria Sharma, who founded India-based campaign, Make Love Not Scars after realising how many women across the country were being assaulted. The lipstick tutorial is the first of three beauty videos due to be released this month, and calls for a total ban on the sale of cleaning fluids containing acids. Now Ria’s started a petition too, addressed to Prime Minister Narendra Modi. When she reaches 25,000 signatures, she plans to bring it to his office personally. Because while acid attacks are illegal in India, they’re still frequent. So frequent, in fact, that it’s estimated one woman is disfigured every single day. Sign the petition and help women like Reshma here.